6-foot extension cord designed to expand the functionality of a single socket. 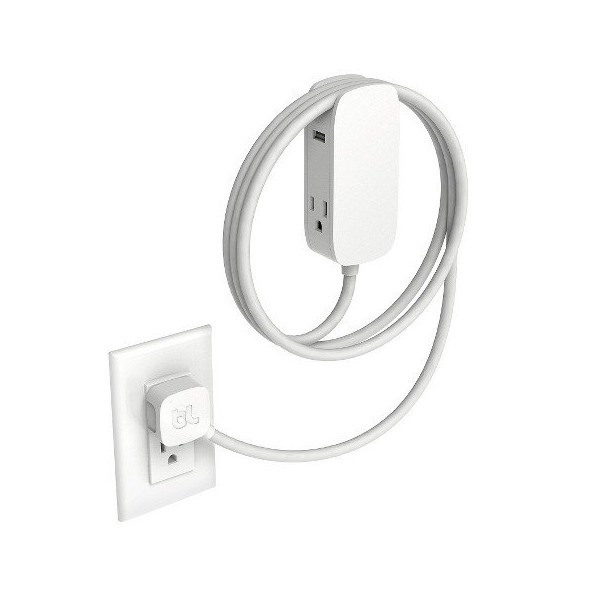 Features two 110V outlets and two USB ports, with a 45-degree angled plug to keep other sockets accessible. Includes one USB port designed to charge iOS devices at full speed. Includes self-adhesive metal plate for easy mounting on walls or desks.